I was having such fun with it on the PSP. Every night he goes out at the stroke of midnight to get sexed up by dogs in an alley. All cats look great in a tie. Oh, by the way, his left leg seems to be a little short. From this perspective his left leg should be lower than the right. The best solution is to either make them level or just barely longer. Any implication that the left leg is closer [ longer ] it'll look much better. Ooh, love it. 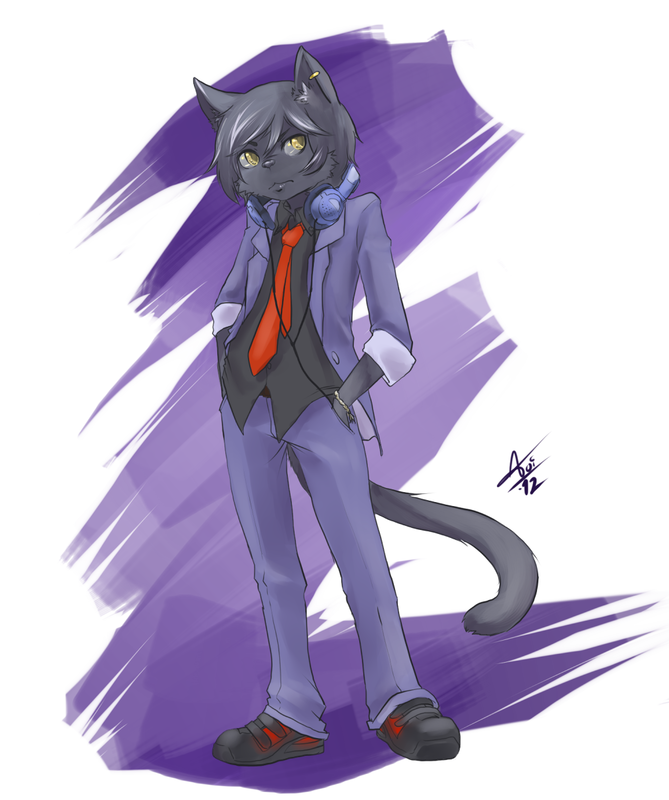 Would be very similar to my character, if he were full fur, rather than neko. Well yeah, but it's mostly just that he's themed around purple, being a cat, and music in general. The clothes are a damn close match, as well.